This article is written according to people’s belief in metaphysics. What Does An Aura Reading Tell You? Aura colors are very versatile and come in many different hues. Professional readers look beyond the aura reading colors and study the subtle nuances in the hues and shades underneath the most dominant colors. 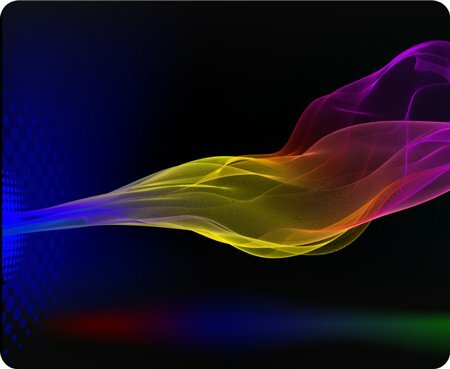 An aura reading expert would rarely base their judgment on just a surface glimpse of the aura because that can sometimes be misleading and lead to an inaccurate reading. As human beings are complex and often contradictory, an aura is an amalgamation of many different colors and hues. Here’s a brief explanation. People with pink auras are often considered loving and charitable. They’re easy to get along with, and easy to please and that’s why people with a dominance of pink in their aura are often considered attractive and friendly. These individuals are also very sensitive and intuitive so they’re quick to understand other people’s needs. However, people with pink auras are also known to be a little too trusting and sometimes even naïve. Individuals with dark and muddy pink aura tend to be dishonest and immature while those with bright pink auras are artistic, compassionate, and even sensual. Red is a color of passion and that’s universally understood. People with red auras are often very enthusiastic and have an abundance of energy. Deep red auras indicate a strong-willed, practical, and determined person. Individuals with clear bright red are passionate, sensual, and highly competitive but possess a quick temper. It’s easy for red aura dominated people to go too far and become too confident, too passionate, or too temperamental. Orange is warmth and comfort; so people with this aura are unsurprisingly good-hearted, compassionate, and kind. They’re also very healthy, youthful, and energetic. They can also be quite creative, productive, and courageous. People with yellow-toned orange are often quite intelligent, with a detail-oriented and analytic mind. Unfortunately, people with brownish orange are often lazy, lack ambition, and their intelligence isn’t well utilized. Yellow is a bright, lively color that spreads cheer, which says a lot about a person that possesses a yellow aura. They’re often very intelligent, optimistic, easy-going, and even inspirational. Such individuals are a hit at parties and social events because they’re great conversationalists. Pale yellow indicates a high level of spiritual awareness, positivity, and hopefulness. Clear gold yellow is a sign of intense spiritual awareness and intelligence. Individuals with bright yellow are often too controlling and engage in power struggles. Murky yellow gold is an indication of fatigue, weakness, and stress. Blue is a very rare aura color and you won’t come across it often in your aura reading ventures. They’re excellent communicators and tend to be highly intuitive. Individuals with blue auras are also very calming and possess a gentle but strong personality. People with light blue auras are often peaceful, honest, intuitive, and clear. Those with royal blue auras are very spiritual, generous, and possess high levels of clairvoyance. Those with muddy blue auras are fearful of the future and don’t often speak the truth. As you can see, every aura has it’s subtleties and can vary between dark aura colors and lighter aura colors. This means that the typical aura color test online wont be as accurate as an in person photo reading. It’s vital to be careful when you’re aura reading because it’s easy to get things wrong.